"I would like to take a moment to thank Dr. Thomas and his very friendly and professional staff of receptionists and assistant David Tu. On February 15th 2017 I came to see Dr. Thomas about a shoulder injury that occurred while I was lifting weights. After x-rays and a consultation with an assistant I was sent off for an MRI. On February 22nd I came back to see Dr. Thomas to go over the MRI results. I was informed that I had a tear in my rotator cuff and that surgery was recommended to repair the damage. I informed Dr. Thomas that I was planning on competing in a weight lifting meet in 9 weeks, so was there another option. He explained to me about PRP therapy. I told him that I had experience with this procedure before and that it worked for me. However, because insurance companies don't cover this, I wasn't sure I could afford this. Dr. Thomas worked with me on a plan for a series of 3 injections that I was able to afford the procedure. When I first came to BCO I couldn't lift my right arm without pain. On March 26th, I not only competed in the California State Championships, I won my division and qualified for the National Championships later in July. If anyone has any questions or doubts about PRP, I urge you to give it a try as an option to surgery. I can never thank you enough for putting this old man back together. I got a feeling I'll be seeing you again." "Dr. Mealer performed surgery on my right knee and he did rotator cuff surgery on my wife's (Anita) right shoulder and left knee. Compared to a prior surgery on my wife from another surgeon this was world class in every way. The surgeries on both our knees were also done with skill and post surgery there were no problems; even minor ones. You can also tell by the feel of the office and the staff how well an office is run and again this gets 5 stars." "Deciding on a surgeon can be one of the scariest things a professional athlete does. As a beach volleyball player I know that my shoulder is my livelihood. Choosing Dr. Thomas as my orthopedic surgeon was one of the best decisions I've ever made. I'd been competing in pain for a year before I finally got help. Dr. Thomas, a truly gifted physician, put my shoulder back together piece by piece. I can honestly say that my arm now feels 100%. Since my operation I've won 9 international medals and have been ranked as high as 5th in the world. I'll never be able to thank Dr. T enough for his dedication and comprehensive care. Thanks for sending me back to my office in the sand..."
"Dr. Mealer is an exceptional surgeon and his caring and compassionate bed side manner makes him the perfect doctor. My knee feels better now than it did before I injured it. Thanks, Dr. Mealer, for giving me an active life back." "Dr. Thomas gave me excellent care and advice. As an athlete, I want to know my options. He evaluated my knee and told me my options. I opted for surgery in the off season because I was tired of the chronic pain. The next volleyball season, I was back to winning without pain this time." "Being a patient at Beach Cities Orthopedics has made a bad accident/injury into a very pleasant experience. Personally, I was at complete ease knowing that I had highly skilled surgeons who are always at the 'top of their game'. Not only are the doctors professionals but the courteous and proactive staff members are there to assist with all your needs which was an absolute blessing that truly is PRICELESS. BCO is not just an office but more of a fully capable orthopedic facility containing all aspects needed from the beginning to the end of your traumatic experience." "Dr. Thomas took care of me when I had an ankle injury. He is personable, caring and thorough, all while understanding an athlete's need to get back on the court as quickly as possible. I know I am in 'good hands' with Dr. Thomas." "Hey Dr. T, it's Shannon Young! Long time, no talk. I just wanted to email you and say thank you for being such a great surgeon. I finished up my senior year of volleyball at Dixie State University this past December and even made it to the NCAA playoffs (the first time in our schools history! ).I honestly wouldn't be here if it wasn't for the care and help you provided me when I messed up my knee 4 years ago. You and your staff are seriously the best! Thanks for truly caring about your patients. Hope you and your family are doing well!" 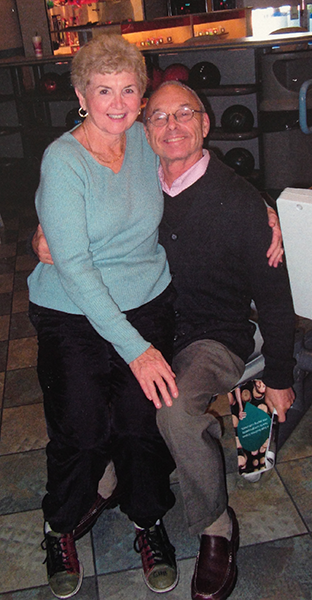 "I feel very fortunate to have found Dr. Thomas. I had shoulder surgery in October 2009 to repair multiple tears from playing fast-pitch baseball. During the surgery, Dr. Thomas was not only able to fix the tears but also cleaned out some bone spurs. Fast forward less than 15 months from the date of the surgery and I am already pitching an average of 8 innings per game. The shoulder has never felt so strong. Dr. Thomas, Chris Ingstad and the physical therapy team were fantastic and I have never hesitated to refer them to others." "I would consider you lucky to just have an overhead motion after rotator cuff surgery". That is that a leading surgeon told me and consequently as an active person my outlook and attitude was dim. At least it was dim until I had a chance to meet with Dr. Thomas. He said he could see no reason why I shouldn't have a full recovery and once again be able to play volleyball, golf, swim or ski. So after meeting with 4 physicians I felt I had found my guy and about 4 months later I knew I had found my guy. I went from virtually no movement and constant nagging pain to complete mobility and zero pain in about 4 months. I worked hard on my rehab which is a must but on the weekend before my 4 month mark I played 6 games of beach volleyball and 36 holes of golf. I couldn't be happier, the surgery couldn't have gone better and I couldn't recommend Dr. Thomas more whole heartedly. If you have the need for rotator cuff surgery I can save you a lot of time and just schedule and appointment with Dr. Thomas and set up your rehab program with Jonathan Jones. Do the work and don't worry." I wanted to thank everybody for this positive experience, Dr. Thomas for fixing my meniscus and taking awesome pictures from inside my knee, and all the nurses downstairs who took care of me and saw that I was a little bit nervous before surgery, the Asian guy with the tattoos on his arms (is his name David? ), who gave me a high 5 in the surgery room just before I went out, I thought that was cool, and of course Rachel who set up everything and made sure that I got my medication delivered at home on time, and everybody else who I might have forgotten was part of this process. I was extremely nervous before the surgery but some little things can make a change. Thanks again to all of you. You guys are the best!